Share this product and receive a $6.06 sharing discount. 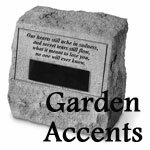 Made of stone cast concrete, each headstone has the look, feel and weight of true stone. Weatherproof and durable, this personalized memorial offers a permanent and touching way to honor a loved one. 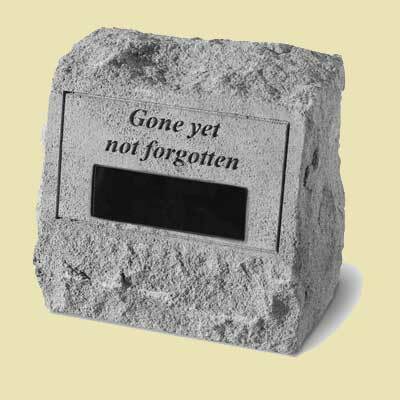 Urns feature a black marble nameplate where names and dates can be engraved (3 line limit/18 characters per line). A container in the bottom can hold the remains of loved ones. This memorial stone can be personalized. Dimensions: 9 1/2" x 8" x 5". This product is shipped directly from the manufacturer in PA. Please allow 5 - 10 days for order processing. The item will ship via UPS and will take the number of dates estimated on the shipping screen.